The Simplicity Sport S100 is a powerful handheld canister vacuum. The Simplicity Sport S100 comes with two extension wands, a floor tool and other accessories, which help make your attachment cleaning a breeze. 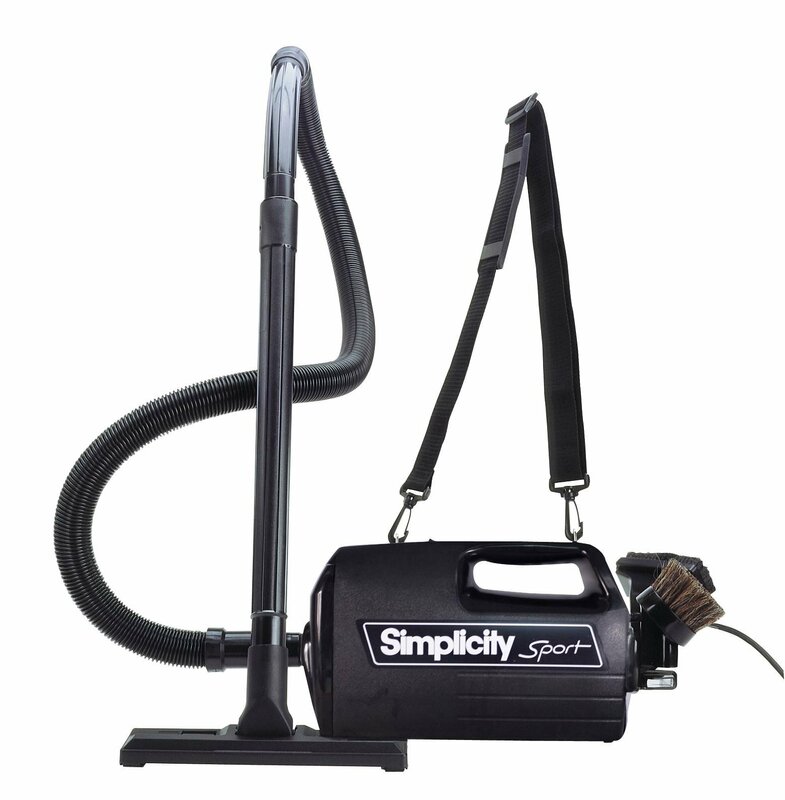 The Sport is a perfect companion to any of the Simplicity Freedom vacuum series products. If you ever require any service on your Simplicity vacuum, all repairs are done in our on-location shop by our factory trained technicians at Guarantee Vacuum & Sewing Center. * Dealer agreement specifies that Simplicity vacuums are not to be sold on the Internet. Also, Simplicity vacuums may not be shipped to customers who live outside of our dealer territory (North Central Indiana). If you have any questions about this policy, or about Simplicity vacuums in general, please do not hesitate to contact us.